JOYAGAMA / Last tea gathering of the year! I hope this note finds everyone in good health and spirits. This year I will again be hosting a year end tea gathering at Nashinoki Shrine on the east side of the Imperial Palace. So for anyone ‘in town’ please call or mail for a reservation from the times below. Look forward to serving you a bowl of tea and some ‘toshikoshi’ soba. If possible please contact me before the 28th to let me know if you can make it or not or if you have any other questions. 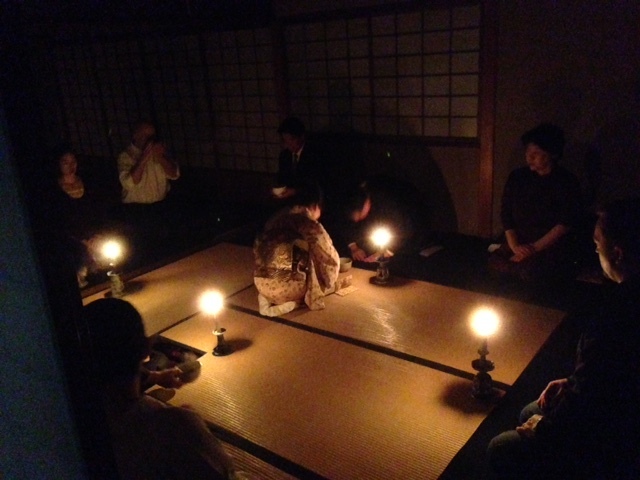 I will host another gathering at ran Hotei on the evening of the 30th for those who cannot make it on the 31st.